Full day of art, music, and dance, featuring top-tier local and international talent. Headlined by rock and roll violinist Lili Haydn, and Greg Douglass of the Steve Miller Band! This, a samba parade, community outreach, hula hoops, and lots more—free for all, right in the heart of Venice! VENICE, CA - The annual Venice Beach Music Fest music and arts festival celebrates a decade of totally free music, art, literature, and dance at the beach on Saturday, August 27, 2016, from 11:00 A.M. to 7:30 P.M. in Windward Plaza Park (1 Windward Avenue, between the boardwalk and the bike trail). The festival, sister to the Venice Spring Fling, is and always has been free and open to the public, made possible by local and national businesses. The free music will continue at an after-show following the festival at Danny’s Venice from 8:00 P.M. - 1:00 A.M.
Venice Beach Music Fest 11 is proud to support the arts by hosting an art show that is free for selected independent artists. 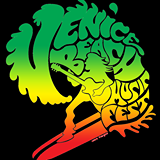 Producer Milton Rosenberg, in his eleventh year of free festival production in the community, notes that this year’s Venice Beach Music Fest celebration is a special one. "I couldn’t be prouder of the world-class level of talent we are able to offer the people of Venice, right here in our backyard. This festival was inspired by the original intent of Abbot Kinney: for Venice as a place to celebrate music, art, dance, and life, right here at the Pacific Ocean. Venice Beach Music Fest celebrates the creative spirit in all of us." The free Venice Beach Music Fest 11 is made possible by generous donations from these local and national sponsors that continue to prove their dedication to arts preservation in our community. Visit www.VeniceBeachMusicFest.com for additional information, and connect with the community at www.Facebook.com/VeniceBeachMusicFest . This event is endorsed by the Venice Chamber of Commerce. Watch The Venice Beach Music Fest at Face Book. On Saturday, August 26, 2017, the Venice Beach Music Fest 12 is back for its biggest year with a stellar lineup in music, art, and dance for which the festival has been known for the past eight years. This free-to-the-public, full day of entertainment will be in Windward Plaza Park from 11am - 7:30pm. (Windward Plaza Park is at 1 Windward Avenue, beyond the west end of the street in the park between the boardwalk and the bike trail in Venice, CA 90291.) VBMF 11 is the sister festival to the Venice Spring Fling, both of which work to ensure that the historical creative spirit of Venice is kept vibrant. So, regardless of whether you are a festival veteran who welcomed summer at the Spring Fling or a first time visitor, please come celebrate the free music, art, and dance with Venice Beach Music Fest 12!